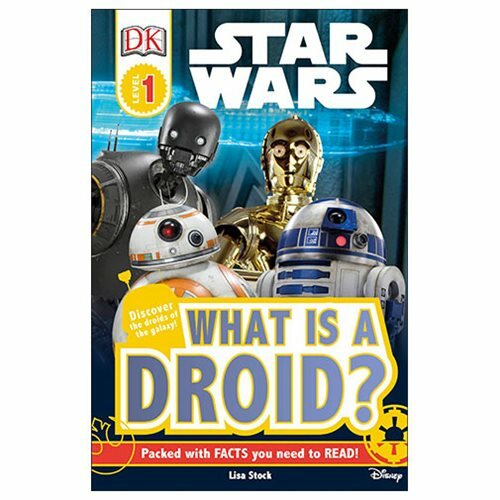 Get to know the most beloved droids in the Star Wars galaxy with the Star Wars What is a Droid? DK Readers 1 Paperback Book. Featuring high-quality images from the smash-hit movies and TV series, this Level 1 Reader takes a close look at the coolest droids in the Star Wars galaxy, from favorites BB-8, K-2SO, and Chopper to treasured old friends from the classic saga C-3PO and R2-D2. The 24 page paperback book measures about 9-inches tall x 5 9/10-inches wide.